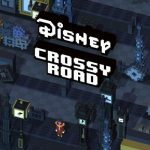 Disney Crossy Road is here for iOS devices, and while we’ve already given you a list of tips and tricks for general use, you may also be wondering about the game’s secret characters. 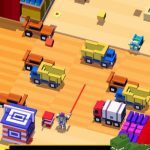 Like Hipster Whale’s original Crossy Road, this new game from the same company and Disney has a plethora of secret characters you cannot unlock by conventional means. 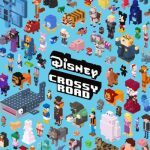 So let’s get to it, and take a look at how you can unlock all these secret Disney and Pixar characters in this Disney Crossy Road strategy guide. Complete the Top Dogs set. There’s no information on who’s in here, but completing this set (most likely featuring several Disney supervillains) would allow you to get Alistair Krei unlocked. Unlock the Brain Maintenance set, which also includes Bing Bong, Dave, and Paula, and Bobby will be unlocked automatically. Use the standard procedure to unlock Maximus. Play as Maximus and gather 50 red apples. You don’t have to do this all in one go; you can play in several runs in order to gather the 50 apples required. After you complete the stage, you’ll be able to play as the Captain of the Guard. Complete the Leading Ladies set, then complete the level so you can unlock the Cat Lady. Chip comes as a bonus character when you unlock everyone in the Crazy Critters set. There’s no particular order here; as long as all characters in the set are complete and you finish the level, Chip’s yours. Unlock the “Fab 5” character batch featuring Mickey, Polka Dot Minnie, Donald, Goofy, and Pluto. Unlocking all five of those characters would allow you to unlock Dale, with no need to do anything extra. Unlock Deanna by completing the Citizens of Niceland, which comes with all the characters from the movie’s Fix it Felix game. Get everybody from the Short and Stout set so you can unlock Don. Complete the Masters of Disguise set in any order to automatically unlock Elephant Finnick. Unlock the Best Friends set to unlock Fred – this set features Hiro Hamada, Go Go Tamago, Honey Lemon, Baymax, and Wasabi. This is one of those characters where unlocking a set allows you to collect him/her. The set in question is the Super Suit set, which comes with Hiro, Honey Lemon, Gogo, and Wasabi Super Suit all included. For this character, unlock everyone in the Feeling Emotional set – Anger, Disgust, Fear, Joy, and Sadness. There’s no particular order in here – just complete them all to unlock Fritz. Unlock the Top of the Food Chain character set to unlock Gideon. Get all the characters in the Big and Tall set, namely Adult Simba, Nala, Pumbaa, and Ostrich, to unlock the Giraffe from The Lion King. Unlock the Spooky Spirits set which includes Prof. Phineas Plump, Madame Leota, and the Executioner. That will be good enough to unlock Gus. Unlock the Humble Beginnings character set with Simba, Nala, Rafiki, and Zazu. That’s all there is to it, as the Hippo will be available after that. 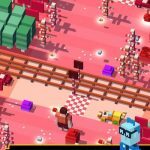 Unlock Bullseye the horse, then collect 50 cherries while playing as Bullseye. Again, this can be done cumulatively over several runs, so no need to pressure yourself into gathering 50 in one go. After completing the level, you unlock Jessie. Complete the Honorable Men set to get the King. The set in question includes Attila, Hook Hand, Ulf, and Vlad. Unlock the Toy Story 1 set, which includes Buzz Lightyear, Woody, Bo Peep, Slinky, and Rex. Simple as that – Lenny will become available automatically. Play as Mickey, and keep on jumping ahead until you find a large, blank clearing. Enter that clearing, hop toward Mortimer, pass him, and keep on moving around until you get killed. You’ll be able to play as Mortimer once that’s all done. Unlock Mother Gothel by completing the Feels Good to Be Bad set, which is essentially the two Stabbington brothers, and no one else. Complete Emperor Zurg, Wheezy, Baby Head, Trixie, and Janey Doll and complete the stage to get The Prospector. Unlock Rancis by completing the Sugar Rush set, which features all the characters from Princess Vanellope’s game in the film. Collect Rapunzel, Flynn Rider, Pascal, and Maximus (the Tangled Heroes set) in any order so you can unlock Rapunzel Braided. The first thing to do here would be to unlock Attila the Viking. While playing as Attila, collect 50 cupcakes, complete the level, and unlock Warthog automatically.